In this article, we’re going to talk about how to choose a good set of antennas for your FPV video feed that suits your flying style and your budget. 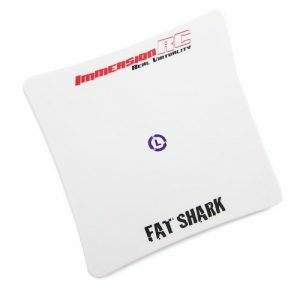 What does my FPV antenna choice affect? Range – A properly configured antenna system has the largest effect on the range of your video system over any other component – including that of your video transmitter. If you are not getting enough range, your antennas should be the first thing you look at. Clarity – When the radio signal from your video transmitter bounces off of the ground and the trees, it can interfere with the main signal in a phenomenon call “multipath”. Multipath generally appears as static lines in your video feed or a discoloration. A good antenna system will attempt to reject radio frequency errors like multipath and thus improve video quality. You do not have to use the same antenna in both your receiver and your transmitter. In fact, in order to get the best range you should use an omnidirectional antenna on your video transmitter and a highly directional antenna like a crosshair or a helical antenna on your video receiver. You should be aware of the limitations associated with using a directional antenna, though. Please read through and understand our Antenna basics guide if you don’t. In most flying situations where you are keeping your quadcopter within about a half mile of yourself, putting the same omnidirectional antenna on both your quadcopter and your video receiver or goggles should work fine. Making your own antennas is definitely the most cost effective way of getting great range. Image courtesy of IBCrazy. Antennas may seem like witchcraft, but they are really not very hard to make. You do not have to understand how an antenna is designed to be good at making one. The materials are very cheap and easy to come by – often consisting of just some coaxial cable, copper wire, and plastic supports. You just need to follow simple recipes and be diligent in your measurements. If you are trying to save some money, this is the way to go. 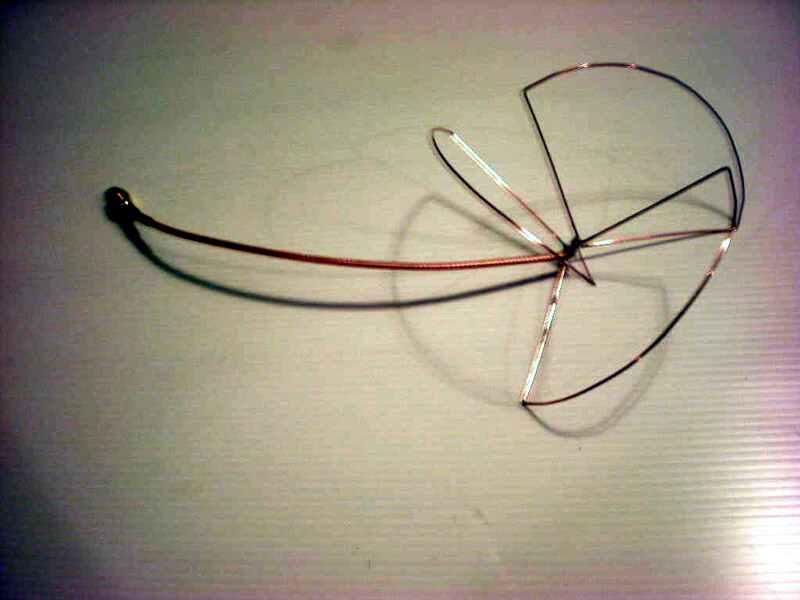 Here is another guide showing you how to make a nice helical antenna. These can cost upwards of $50 if you were to purchase them! If you have access to a 3D printer, be sure to check out sites like Thingiverse for templates that you can print. These are basically plastic shells which you can bend copper wires around to make a perfect antenna on the first try. It really couldn’t be easier. 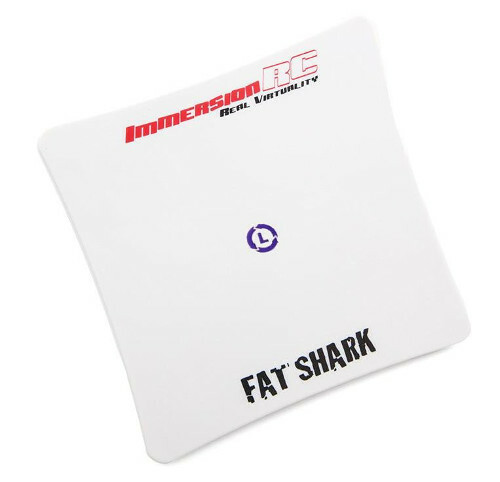 Patch antennas like this Spironet patch from ImmersionRC can net you longer range, but they only work when you fly in front of the antenna. Most pilots opt to fly with at least one omni-directional antenna. 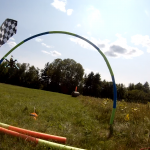 Polarity – For FPV systems on racing quadcopters, you should be using circularly polarized antennas. These are easy to distinguish because they almost always have a large round cylinder or mushroom cap on top of 2 inches or so of coaxial cable. You do need to choose your circular polarization direction – either “left hand” (LHCP) or “right hand” (RHCP). 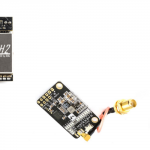 For pilots looking to race or fly in groups, we recommend having one set of both RHCP or LHCP antennas in your gearbag but if you fly solo mostly you can just pick one and stick with it. RHCP antennas do tend to be more popular and easy to find. Gain – Gain is a measurement of antenna performance. For a more detailed explanation, check out our antenna guide. This isn’t really a factor when choosing an omnidirectional antenna but it does come into play when picking a directional antenna for your receiver system. Higher gain generally means you get less antenna coverage but more range. Performance antenna measurements page– The performance of an antenna is generally the ratio of the overall gain of the antenna versus what it theoretically should be capable of. Manufacturing precision and material selection are the primary factors in how antennas perform. The best way to analyze antenna performance is to have a 3rd party compare them with each other. Maartin Baert has done just this on his – be sure to check it out! Connector Type – You’ll generally run into one of two types of antenna connector types when shopping for antennas. They are called “SMA” and “RP-SMA”. SMA connectors only mate with other SMA connectors, and vice versa. 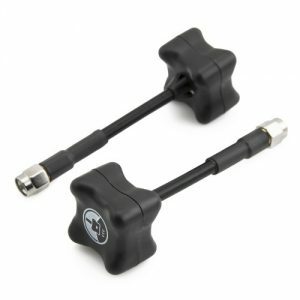 In pictures, these antenna connectors can look identical! Make sure you check the specifications of the antenna you are buying before you click the purchase button! If you are making the choice between the two types – we definitely recommend you choose SMA as they are by far the most common connectors in the hobby. Size / Weight – The size and weight of the antenna can affect your quadcopters performance. Lately, some manufacturers have been attempting to fit all of the performance of a circularly polarized antenna into a very compact size more like a classical rubber ducky antenna like the ones you would find on a WiFi router. 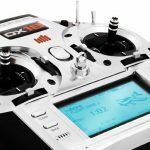 Durability – The transmitter antenna on a typical racing drone will take the most abuse of any component on the quadcopter – with the possible exception of the props. You should consider your skill level when picking antennas. If this is your first quadcopter, you should go for something that has a nice hard plastic case to protect itself. More advanced pilots can get antennas that don’t have that protection to save on weight and cost. I will say that some antennas can be deceptively strong. The Aomway 5.8GHz antenna, for example, can take some brutal crashes and keep flying even though it has no protective cover. Price – Expect to spend between $15-$30 for a pair of omnidirectional antennas and $40+ for nice directional antennas. You can find some ultra-cheap antennas on the market, but they are generally not worth it (see below). Price doesn’t seem to have much of a bearing on how well an antenna will perform, otherwise. Manufacturer – Buying antennas is not a great place to cheap out. The problem is there are a lot cheap antenna clones on the market that don’t follow the basic standards of antenna design in their manufacturing process. In these cases, a total beginner can make a better antenna in his home workshop the first try. My rule of thumb is that if an antenna manufacturer has no website, no design specifications and no community following – I stay away. 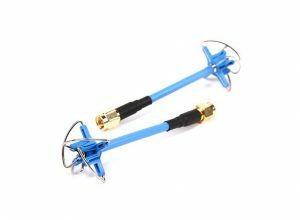 Don’t just search “FPV antenna” on Amazon and buy the cheapest one you can find. Buy one of the ones we recommend below or do your research! This isn’t an exhaustive list of antennas, but we have experience with all of these and can recommend them. If you choose from an antenna from outside of this list, do yourself a favor and Google it to see if others have had any problems with them! The Aomway Omni – our current favorite antenna. Pros: Excellent combination of performance, price and durability. Cons: Unprotected antenna might not last repeated abuse. Can’t buy just one. In almost every performance comparison test I’ve ever seen, these Aomway omni-directional antennas come out on top for range and video quality. They are the only antenna that come from the factory without a plastic cover but don’t let that fool you – I have almost exclusively used these antennas for the last 6 month and haven’t bent or broken a single one. The metal used to make the lobes on the antenna is extremely strong and does not easily bend so these guys are much tougher than they look. A new version of these antennas were recently offered with covers – I prefer the old style for the lighter weight though. Pros: Very cheap price, extremely durable, multiple color options. Click here to buy RHCP version, make sure you pick SMA or RP-SMA. This is the cheap antenna of the bunch. Averaging around $8, you can get a very good quality antenna for nearly half the price of the competitors. In performance tests it does quite well, too! I just don’t like the way it looks.. The Video Aerial Systems (VAS) duraspec antenna. IBCrazy ran this thing over with a car with no damage! Pros: Wide selection with tons of different performance profiles, shapes and sizes. Made by an antenna master. Cons: Pricey compared to other antennas. 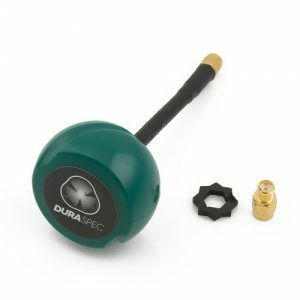 Duraspec Antenna – Probably the most durable antenna on the market. He has videos of tremendous abuse he’s put the antennas through. 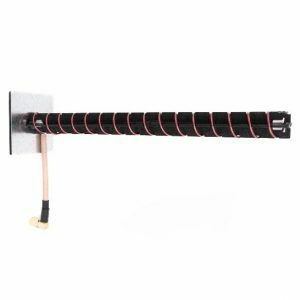 Racespec Airscrew – Super compact and lightweight circularly polarized antenna. If you are going for a light quad, this is a great choice. Bluebeam Antenna – One of the original circularly polarized antennas. Durability is not high, though. 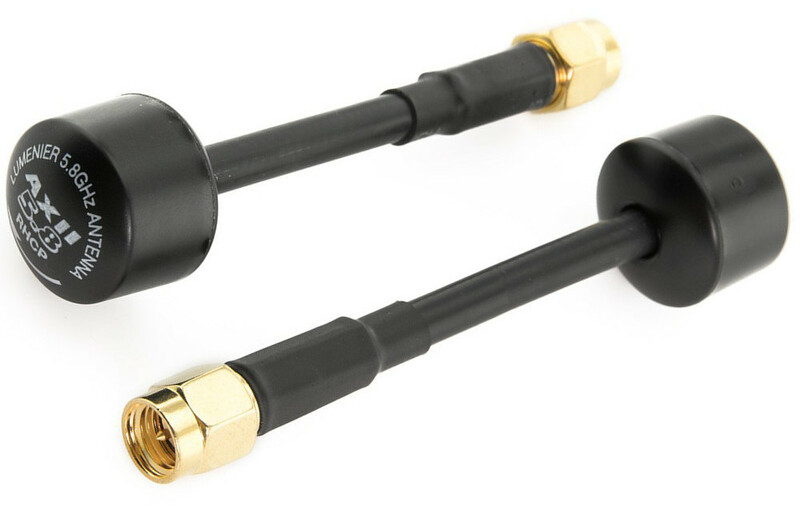 Airscrew Antenna – Somewhere between the racespec and duraspec antennas in performance and durability. Pros: Small-ish, nice looking antennas with good performance. Cons: Expensive for what you get. This is a old but good antenna from ImmersionRC. It has no really outstanding features in our opinion but just offers a good mixture of form, durability and function. It is available from many vendors, including many local hobby shops. If this is the only antenna you can find, grab it! Pros: Smallest circularly polarized antenna you can buy. Very stylish. 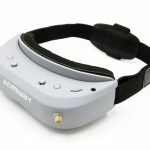 This is a new player on the market from Lumenier / GetFPV. 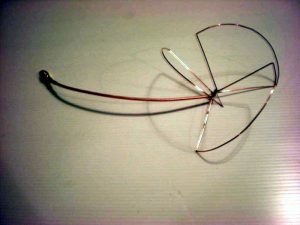 It is a stunningly small, lightweight antenna considering it is circularly polarized and is very durable to boot. Comparison tests have shown that it’s generally pretty middle-of-the-road in terms of performance, though. The TBS Triumph, a very popular antenna among the pros these days. Pros: Excellent range and coverage and fantastic durability. The TBS Triumph antenna is the result of joint work between IBCrazy and Team Blacksheep in the effort to come up with the “ultimate racing quad antenna”. To that end, it is extremely durable and has a unique antenna design that provides more uniform coverage than you would normally get in other circularly polarized antennas. Comparison tests have shown that it’s real-world performance is very good. This is the pick of many top pilots out there. I’ll admit – there are a ton of these on the market, and we don’t have as much experience with them as I would have liked for this review. I’ll link the ones we have tried here – you might want to do your own research if you are looking for that long range fix. Pros: Super long range capabilities. Cons: Very large. The longer range antennas have very narrow beam widths and require multiple diversity systems to use. The “black cannon” 10 turn helical from VAS. Extreme range but extremely tight beamwidth. Don’t buy this unless you know what you are doing! of “view”. Think of it as a high zoom lens on a camera. Therefore, these antennas are best if you are using a multiple diversity receiver system. For normal diversity systems like the FuriousFPV set-up or the LaForge add-on, we recommend running a patch antenna for the superior beam width. Pros: Good boost in range while maintaining full coverage of what’s in front of the antenna. The good old patch antenna is your best bet for gaining a good amount of range on your video system for cheap. Mount this directly on your goggles, make sure you are facing the area where you will fly your quad, and enjoy a 50%+ boost in range over your basic omni antenna! There are a few patch antenna variants on the market that you can mount to your goggles – we encourage you to look around.